Make your health a priority! 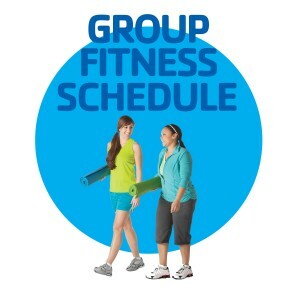 Check out our wellness programs; which offer weight training, fitness orientation, and wellness evaluation. To schedule your 15 minute wellness analysis with a wellness attendant please download the Fitness Evaluation Request form or pick up a copy at the welcome center. Feeling overwhelmed or just not sure where to start with the variety of equipment and activities the Y offers? Whether you are new or a seasoned member, stop by the Welcome Center to schedule an appointment and make a Y connection. a Y Connector will provide you with a detailed tour and introduce you to classes, programs and equipment that will lead you on a new path to health and well being. Participating in the Y’s Lighten Up Weight Loss Program is a great way to learn how to eat healthier, move more and lose weight. There are no gimmicks and no restrictive approaches — just the tools you need to make the necessary changes in your lifestyle to achieve your wellness goals. This program provides helpful tips and strategies to incorporate nutrition and physical activity into your lifestyle, while also addressing motivation, obstacles and pitfalls that make losing weight (and keeping it off) such a challenge. Twelve weekly, group-based, one-hour meeting provides a supportive network of others working on similar goals to help when the going gets tough and to celebrate successes along the way. YMCA of Cumberland is committed to supporting healthy lifestyles through the Y’s Lighten Up Weight Loss Program but does not guarantee any specific outcomes for program participants. The Y’s Lighten Up Weight Loss Program is not intended to diagnose any medical condition or to replace your healthcare provider. Consult your physician before beginning any exercise program and cease physical activity if you experience any pain or difficulty while participating in the Y’s Lighten Up Weight Loss Program. If your child is between the ages of 12 and 15 years old and would like to use our wellness center, we have the perfect program available. After successful completion of the program, your child will receive a certificate and be permitted to use the wellness center without adult supervision. This program is designed to teach the importance of proper exercise techniques and use of the cardio and selectorized equipment. The class will be taught by the wellness staff throughout the week by appointment only.